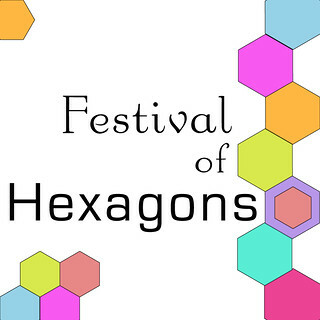 The time has finally come to see all the beautiful hexagon projects that you all have been working on! 1. You may enter a maximum of two projects into the linky party. Each project must have it's own blog/Flickr/Threadbias post and link. at least 75% of the overall design. 3. Projects must have been completed within the last 6 months. sewn -- quilts, pillows, bags, home decor, etc. 5. NO size restrictions -- have fun! And remember, FAT QUARTER SHOP is sponsoring some amazing prizes! Thank you, Ali, for hosting this festival. Thank you for all the tutorials. I can't wait to see new hexagon projects, it seams everybody loves to stitch hexies. Wow, everything looks so great! I really love that pillow by Svetlana. It is so pretty!!! I really love the I spy quilt by Jennifer!